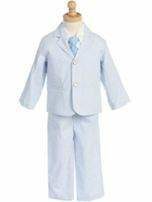 This top quality crisp seersucker cotton eton suit jacket and shorts set lends a wonderful fresh look for your spring and summer special events. The seersucker fabric has light blue and white stripes. 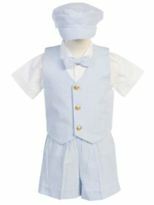 The set includes a lined Eton style jacket, elastic waist shorts, a short sleeve white shirt, and bow tie. This outfit also pairs nicely with a white tee and sandals for a more beachy look making it popular for beach and outdoor weddings. It's made in USA. 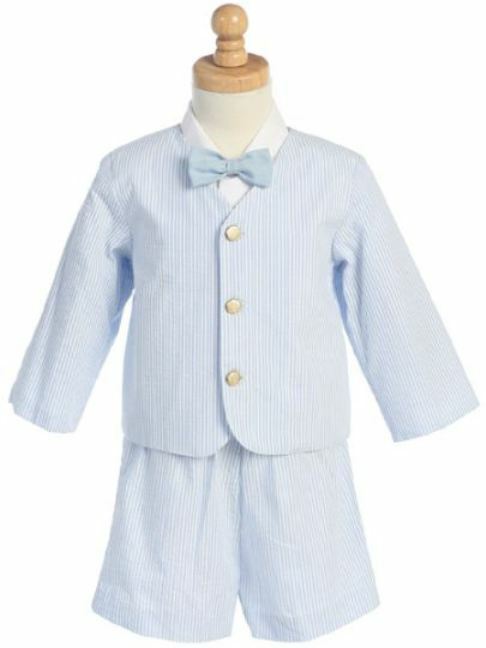 100% cotton for the jacket, shorts, and bow tie. The shirt is 35% cotton and 65% polyester. Sizing Note: This outfit runs small. 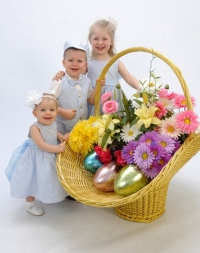 Please consider ordering up one size from what the child usually wears. If the size you need does not appear to be available please call us. Knee socks sold separately. This outfit has a matching sister dress.